Dogs4us is a exposed puppy warehouse. It has branches in Leeds and Manchester. Dogs4us continue selling puppies in their pet shops. They have been exposed before buying from horrific puppy farms. We say enough is enough. 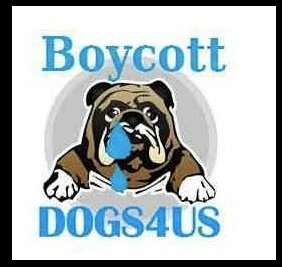 Its time for Dogs4us to stop selling animals like products. It’s time for us to unite and stop this cruelty NOW!! The post is up now with 2 pics, there are pics on our facebook group as well. There will be small protests most Sundays and another bigger one on the 16th. Thanks for your support.